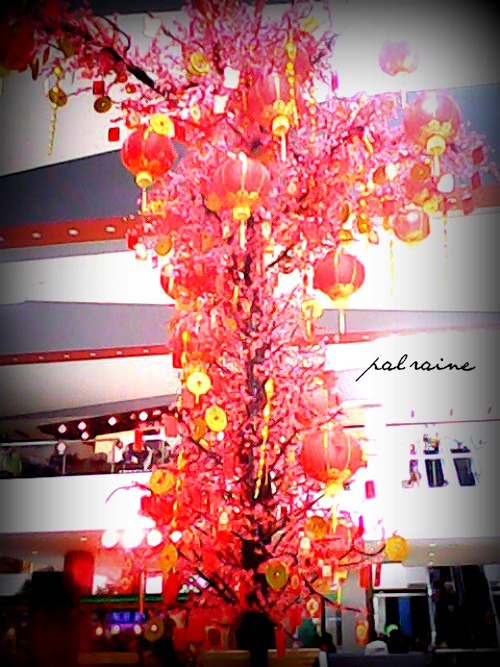 I'm not Chinese but we do celebrate CHINESE NEW YEAR or often referred to us as the LUNAR NEW YEAR. 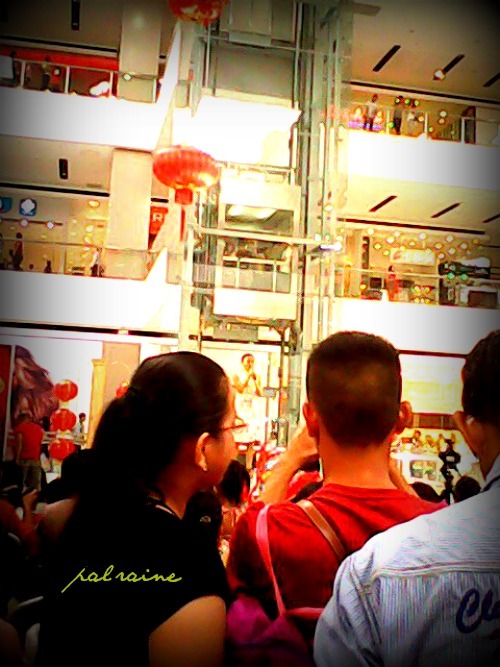 Yesterday, we went to SM LANANG PREMIER and saw many people watching the celebration. 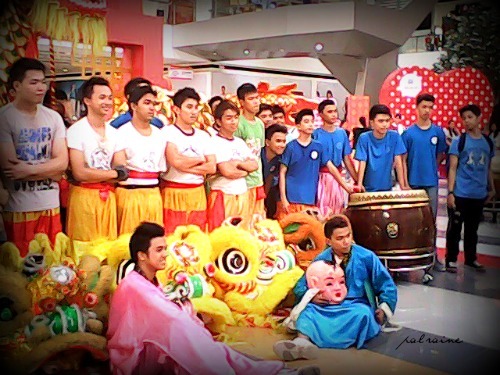 The Chinese community had their small program presentation at the atrium. 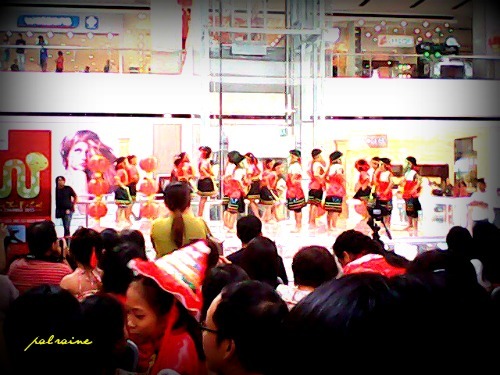 A song and dance number from chosen students from Chinese school, and great talents from different Chinese organizations. 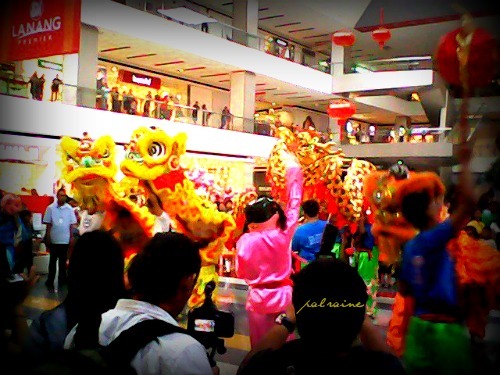 Celebrating Chinese New Year here in Davao is so simple, NO FIREWORKS DISPLAY as what Chinese tradition used to follow. They respect Davao ordinance No. 060-02 Series of 2002. They do cut their hair and wear new clothes, preferably RED ONES for good luck. They clean their house before New Year's Eve. They don't say bad words or LIFT A FINGER during the two weeks holiday. And the most part I love is when they meet all their Chinese relatives, especially the elderly one when they pay RESPECT, LOVE and AFFECTIONS, and have banquets at a Chinese Restaurant. Grandparents, Aunt's and Uncle's give "AMPAO"(the red envelope) with lucky money inside for the kids. 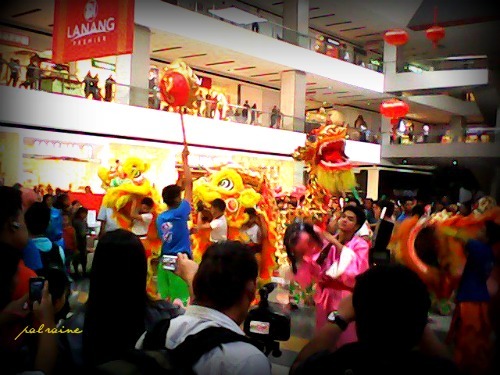 That is why though I am not Chinese, I still follow their traditions, but not all.